Do you move hot tubs? Do you move house plants? How long does a move normally take? What if it’s raining on the day of my move? 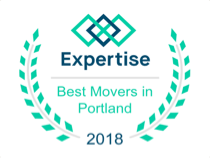 JMy experience with Priority Moving Services was exceptional. Josh and his staff were prompt, extremely knowledgeable about packing to utilize space, great problem solvers, and fun to work with. I will definitely use their services again and would recommend all my friends and family as well! I want to give special thanks to Cory and Kevin for their outstanding service they provided in moving our belongings. My move was scheduled for the last move of the day for Cory and Kevin. They had already moved two homes prior to mine and even through being tired and seeing all that we had to be moved in a short time did not deter either of them. They were professional all the way. I would recommend priority movers and would not hesitate to use them again.